The country’s most exciting franchise based T20 cricket extravaganza, Bangladesh Premier League (BPL) season three is all set to roll onto the ground from November 24 with a huge trumpet blast and a mix of old and new six franchises. 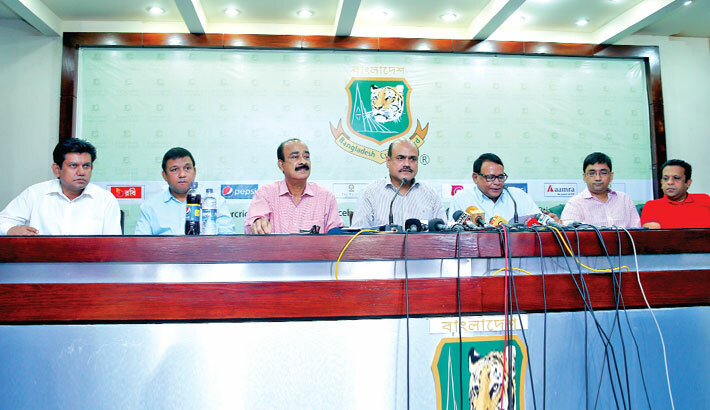 BPL governing council chairman Afzalur Rahman Sinha announced all this information after BPL governing council meeting on Wednesday at a press meet at Sher-e-Bangla National Cricket Stadium. According to BPL governing council chairman’s briefing, BPL season 3 will officially be inaugurated on November 22 in a gala inauguration ceremony at Sher-e-Bangla National Cricket Stadium but the main tournament will kick off after a-day-gap from November 24. “You know few days ago, Dhaka Gladiators filed writ petition with High Court against BPL. The writ petition however was rejected yesterday (Tuesday) as the petition was not maintainable for submission. We had a long discussion to organize a successful BPL last couple of months and finally we have come to a decision. This year six franchises will take part in BPL and one is new among the six franchises,” Afzalur Rahman Sinha said. According to Afzalur Rahman Sinha, Comilla Legends will make their appearance in BPL for the first time which is owned by Royal Sporting. The rest of the five previous teams which have betted in the coming stage of BPL are – Beximco Group’s Dhaka Gladiators, Axiom Technologies’ Barisal Burners, Chittagong Kings owned by Dulal Brothers Limited (DBL), I Sports’ Rangpur Riders and Sylhet Royals owned by Alif Group. This year BRB Cable Industries Ltd. has been engaged with the third edition of BPL as title sponsor. Prime Bank was the title sponsor in previous edition. Apart from Sher-e-Bangla National Cricket Stadium, total three venues were preliminarily selected for BPL-3 including Chittagong and Khulna. Meanwhile, Bangladesh Cricket Board (BCB) Media Committee Chairman Jalal Yunus confirmed about Pakistan cricketers’ inclusion in BPL. “We want to say that we have a very good relation with Pakistan Cricket Board (PCB). So there is no complication over the issue now. We are hopeful for Pakistan cricketers’ participation in BPL,” Jalal Yunus said. On the other hand BPL Governing Council General Secretary I H Mallik said this year BCB would involve their own handy anti-graft unit (anti-corruption officers) to handle match-fixing issues. Former Bangladesh skipper Ashraful, along with four players and officials, were suspended for various periods after a tribunal set up jointly by the International Cricket Council (ICC) and the BCB found them guilty. Former New Zealand batsman Lou Vincent was also banned due to same reason as well. Meanwhile, BPL Governing Council General Secretary ensured this year BPL-3 will successfully be held without due barrier. “We have six big business conglomerates from whom we have already received the pay order and bank guarantee documents to avoid the due problem. Both local and foreign cricketers who played both inaugural and second edition of BPL, have already received their long awaited due payment. So I think there is no complication to run BPL now. We can promise you that world best cricketers will light up BPL stage with their fashionable cricket,” I H Mallik added. The 7 divisional cities were chosen as the franchise teams to participate in the second season of BPL. In the first season of BPL, 6 divisions were chosen among 7, with the exception of Rangpur. After the second edition of the BPL held in January – February 2013, a big gap was created for the problems over mismanagement, players’ payment, controversies and a prolonged match-fixing scam that actually stalled the money-making domestic T20 tournament. Inaugural edition of the franchise based T20 cricket extravaganza was held in 2012. Dhaka Gladiators clinched both 2012 and 2013 season crowns.